Search engine’s are constantly changing in an effort to deliver the best results to searchers. They want to serve up the best possible piece of content for each query. But for nearly two decades, a similar formula was used to determine what would rank highly: follow best practices for on-page SEO, and build great inbound links to your content. 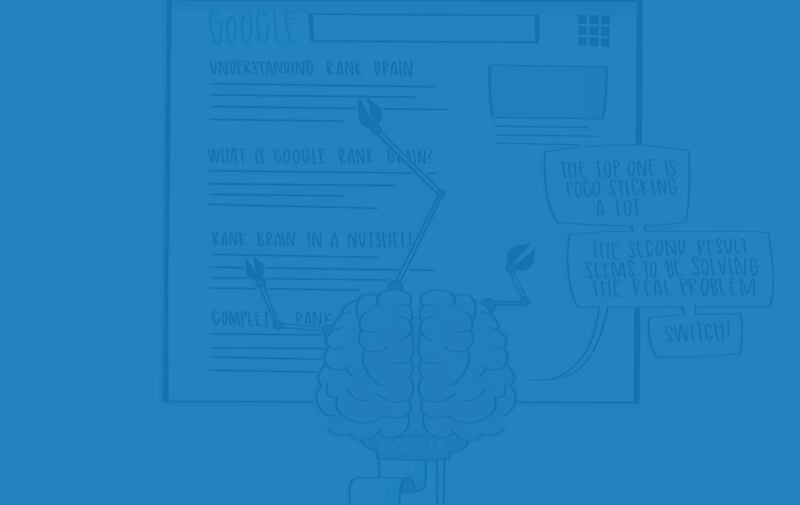 Google Rank Brain now requires us to think not only about our own content, and how other’s link to us, but also about how people on Google itself use our content. If you search for something on Google, and a piece of content you clicked solves your problem, do you go back to the search results page and look for more answers? Probably not. You already got your answer, right? 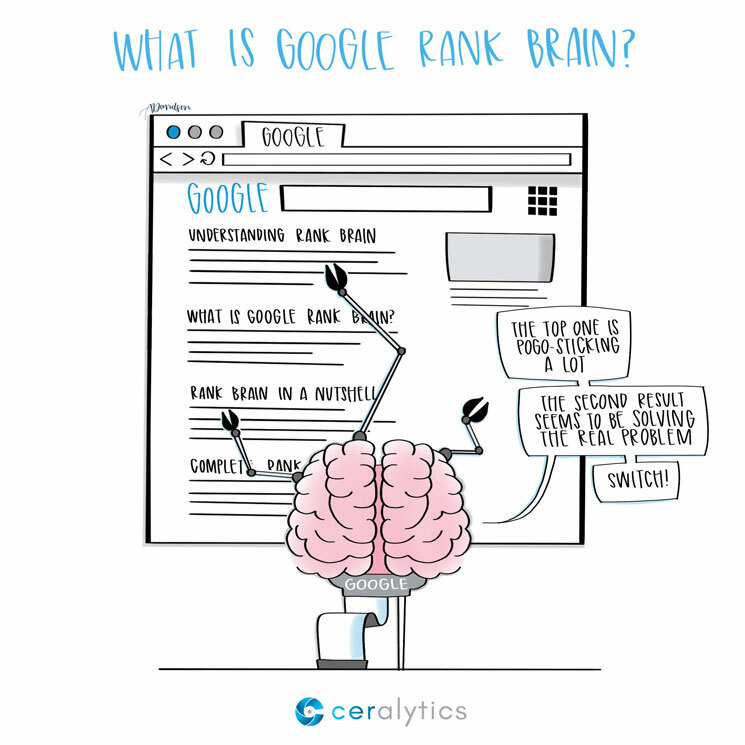 The idea behind Google Rank Brain is to look at which content on specific Google searches gets people to click on them, and then stay on them without coming back to the search page. Google assumes that if an article solved your problem, you don’t need to come back to the search page. So the brainiacs at Google developed an algorithm that measures this. It looks at three major things. 1. What’s the click-thru rate of an article? When Google is looking at content to rank, one of the first things Rank Brain looks at is whether an article is actually getting clicked. This is a sign to the search engine that the Title and Meta Description of the content are meeting the initial need of the user. Higher click-thru rates mean that, at least on the surface, the content is intriguing to the searcher and might be relevant to their search. Lower click-thru rates mean it’s probably not as interesting or relevant. Yes, the book is judged by its cover. 2. What percentage of people pogo stick? When searching for answers, we all do the same thing. We click a link, skim it, go back to the search engine, and find another link. We do this over and over again until we either find the answer we’re looking for, or just give up. This concept of SEO pogo sticking can make or break your content. If your content looks great to searchers (great Title tag and Meta Description), but people just bounce back to the search results page because you didn’t deliver, Google is going to assume your content didn’t answer their question. On the flip side, if you deliver a solid answer to your audience, they are far less likely to bounce back to the search result page. Google keeps tabs on how many people pogo stick your content for various queries. It’s becoming a more and more important metric – so it’s more important than ever to deliver amazing content to your audience. But what if someone clicks on a piece of content, reads it for 10 minutes, and then comes back to the search results page? Google takes that into account too. If audiences are spending significant time on your content before pogo sticking, it may not hurt you at all. Some queries may require multiple sources of information, and Google doesn’t want to penalize great content that couldn’t possibly fulfill every need of the searcher. However, if someone clicks on your content and then leaves after a few seconds, you better bet that Google is going to be moving your content down in rankings. You’ve probably caught this already, but content with high click-thru rates and low pogo sticking gets ranked higher than content with lower click-thru rates and high pogo sticking. 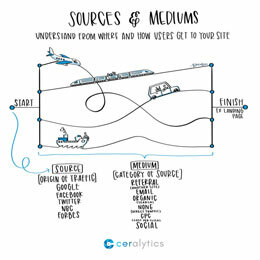 We’ve done tests here at Ceralytics, and have found that by optimizing our headlines for clicks, we can move from the 50+ result in search to the top 20 without doing any other tactic. That’s pretty powerful when you’re targeting high volume search queries. We detail how to optimize your content for Google Rank Brain in a post about increasing search rankings using Google Search Console over on Convince & Convert. Check that post out, there are some incredibly valuable takeaways in it.